Ed Cilley’s photos’ from the 9am Saturday session. If you have other photos you would like to share here, please send them to us! 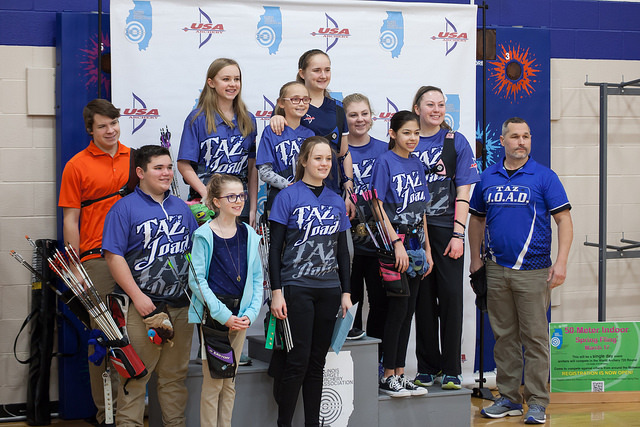 The ITAA is proud to hold this 2018 Indoor State Championship. This is one of the best chances to compete against shooters all across the whole state. Choose a venue and a date and show your stuff! 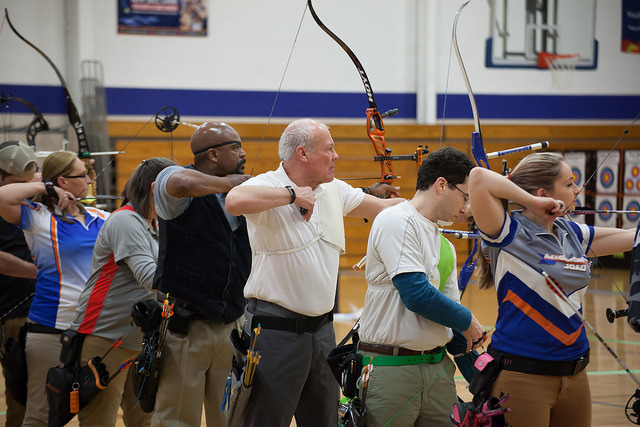 The format for the indoor event is an all-ages 18m 600 round and a 25m 600 round. This is 60 arrows at a standard 4-color World Archery target (40cm for the 18m round, 60cm for the 25m round). Shooters can choose to shoot either or both of these days. Awards are given for each event separately and for a combined aggregate champion in each category. Choose either venue. The scores will be combined together statewide. 18m State Champions will be announced at the end of February 3rd. 25m State Champions will be announced at the end of February 4th. 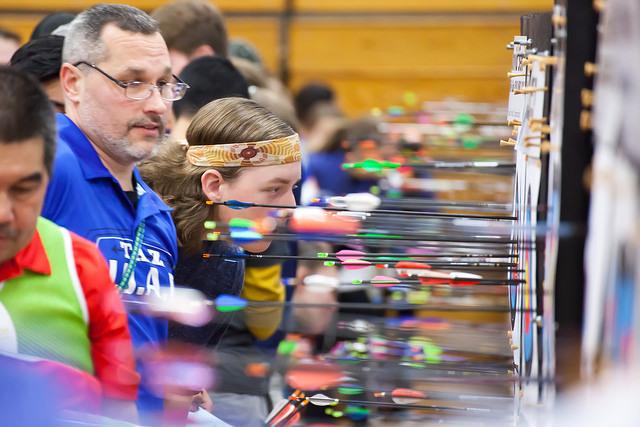 All age, gender, and bow style categories will comply with USA Archery guidelines. PRE-REGISTRATION IS REQUIRED TO RESERVE YOUR SPOT. YOU CAN PRE-REGISTER SING THE LINK BELOW. Medal awards will be presented to the first three places in each category on each shoot, and for 1st place on the combined aggregate event. Payments can only be Cash or Check on site. There is a family maximum fee of $75 / $125 ($100 / $150 for late registrations). Family discounts on ITAA Event Fees are described at the link. The shooting line for each time slot has a maximum of ~100 spaces. After that, registration for that line will be closed. For 25m indoor shooting at a single 60cm target face, two archers may use the same target face. So you may be sharing a face with an archer on the other A/B line. A double-line 600 round takes around 3 hours shooting time to complete. With early arrival for check-in, shooting, and tear-down, plan on the Saturday 600 to require around 5 hours of time in your day. You may register multiple times to participate in multiple equipment categories, but not multiple age categories. You may choose an age category that is ostensibly more competitive than your natural one, (i.e. 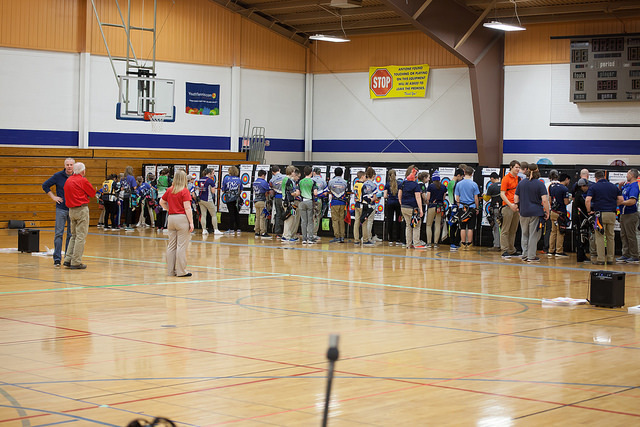 shooters younger than senior can choose a higher category up to senior, shooters older than senior can choose a younger category down to senior), but you may only compete in a total of one age category. Family discounts do not apply to categories beyond an archer’s first category. The State Indoor Championship will be requiring one of the membership options for participation. This means either having an full or temporary USA Archery membership, or a full NFAA membership. Temporary memberships can be arranged on-site during check-in or online ahead of time. Please be prepared to show your physical membership card at check-in. All shooters will be eligible for medals regardless of registry method. 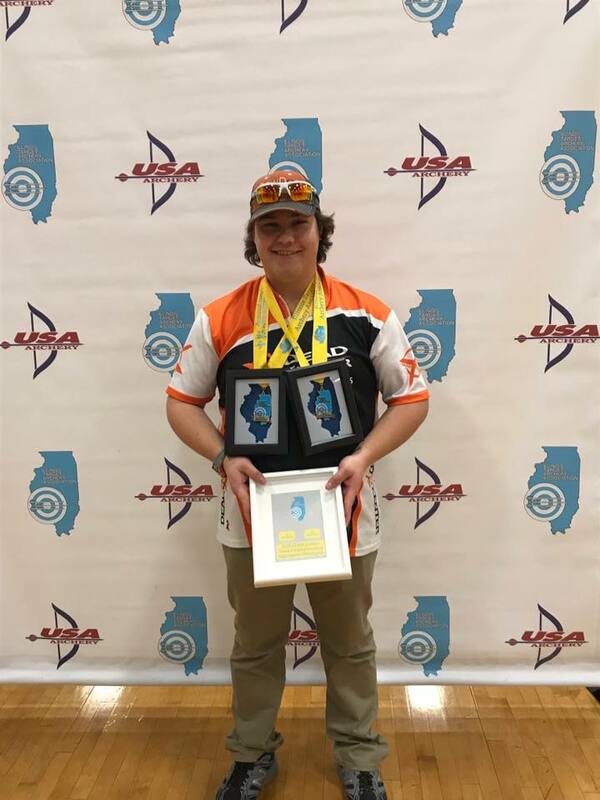 Shooters submitting claims for national record scores are required to carry USA Archery membership. The registration is split into the 4 segments of the event — 2 for each venue. All Traditional shooters should register as Longbow.